I bought a few kilos of ginger during a recent trip to Bentong where the best ginger is gown. With so much available, I used some to make a ginger paste for ginger tea. I find it very convenient with this ginger paste. Just add hot water and you can have a hot ginger tea anytime. My hubby loves it and he will request for one every evening. I would highly recommended using Bentong Ginger as it has better aroma and not too spicy like other ginger. Scrap and wash the ginger. Cut into smaller pieces. 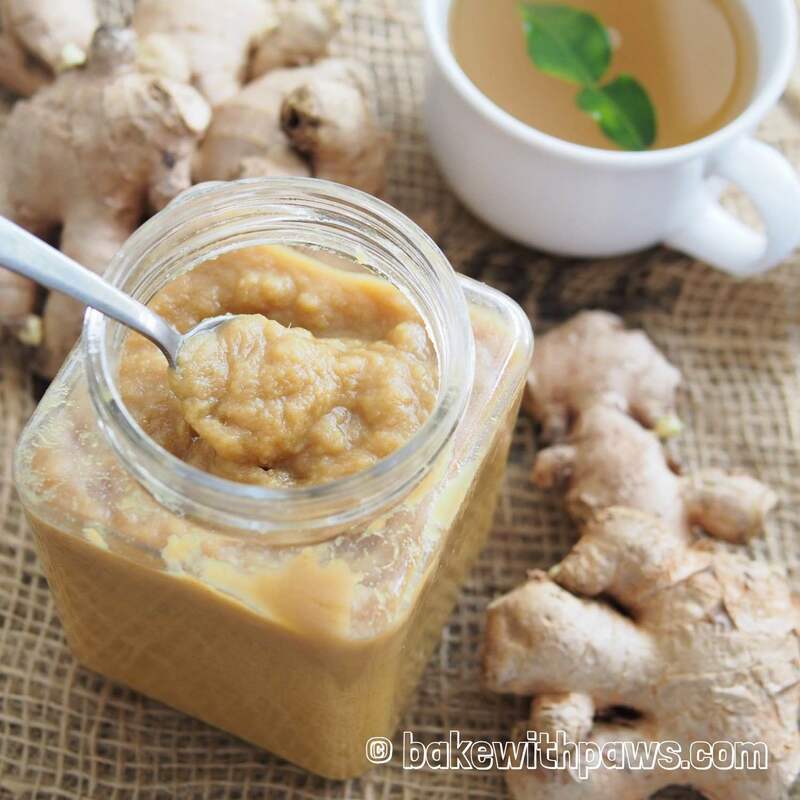 Add ginger and water in a food processor and blend until the ginger become like a paste. Transfer the ginger paste to a pot and add gula melaka. Cook under medium heat until it starts bubbling. Turn to low heat and simmer for about 10 minutes. Stir it occasionally. Once it is done, remove from the stove and set aside to cool. Transfer to a glass container with cover and store in the fridge. 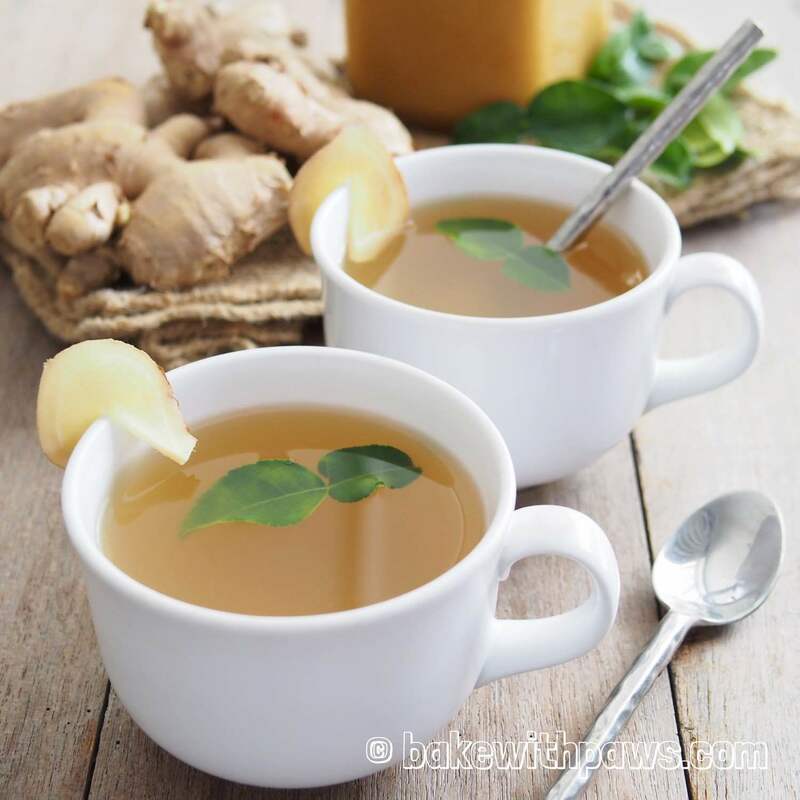 Scoop 1 to 2 teaspoons of the ginger paste into a mug and pour with boiling water. How long can the ginger paste be stored? Hi, thank you for asking. Up to 2 weeks in the fridge.